Though it is the state capital of Indiana, and a highly cultured city at that, Indianapolis doesn’t seem to have as much of the noise and bustle of some other cities. Instead, it maintains a homey and calm charm, one that our Toyota dealer near Indianapolis, IN, can’t get enough of. Having undergone a bit of revitalization in recent years, Indianapolis has easily emerged as one of the best foodie cities in the country. Restaurants like the St. Elmo Steak House, which is known for making the Travel Channel’s “World’s Spiciest Food,” are known nationwide. Of course, Indianapolis is also home to some particularly passionate football fans. Colts games at Lucas Oil Stadium seem to be something of a rite of passage for most city residents. 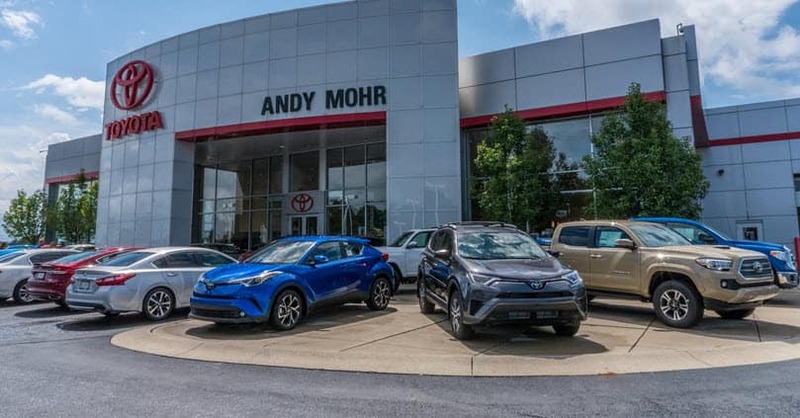 Here at Andy Mohr Toyota, we’ve spent a lot of time in the city, getting to know its sights and residents. We’re more than happy to provide you with the right car to get to your next destination. 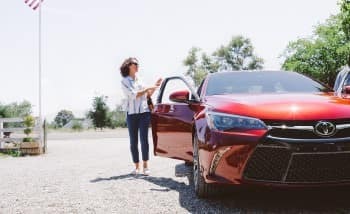 When our Toyota dealership settled outside of Indianapolis years ago, our main goal was simply to provide local drivers with the perfect cars for their lifestyle. To achieve that, we’ve worked hard to maintain an expansive and generously priced inventory, as well as a highly dedicated staff. Our commitment to customer satisfaction has ultimately led to our Indianapolis, IN, Toyota dealership receiving a Toyota President’s Award. This commendation acknowledges our consistently high customer satisfaction rankings. You can browse our entire inventory online today, too. Once you’ve found something you like, then give us a call, and we’ll arrange a test drive for you. Once you get behind the wheel, you should be able to make up your mind. Have you ever been through the automotive financing process before? If not, you may need one of our team members to help walk you through it. Fortunately, our entire team of finance professionals will be at your disposal during this process. At our Toyota dealership, all Indianapolis, IN, drivers are welcome. No matter what your credit history may be, we’re here to find a solution for you. We offer bad credit car loans for our Indy drivers so that you can enjoy your next vehicle purchase from us. Truly, it couldn’t be any easier than that. Where Can I Service My Toyota near Indianapolis? Wiper blade installation and more! Since the beginning, our Toyota dealer has always been proud to serve the Indianapolis, IN, area. We truly love this city, and we love its residents as well. We’d be more than happy to connect you with the car of your dreams. Are you ready to find a new Toyota? Then, come visit us at Andy Mohr Toyota. We hope to meet you soon!